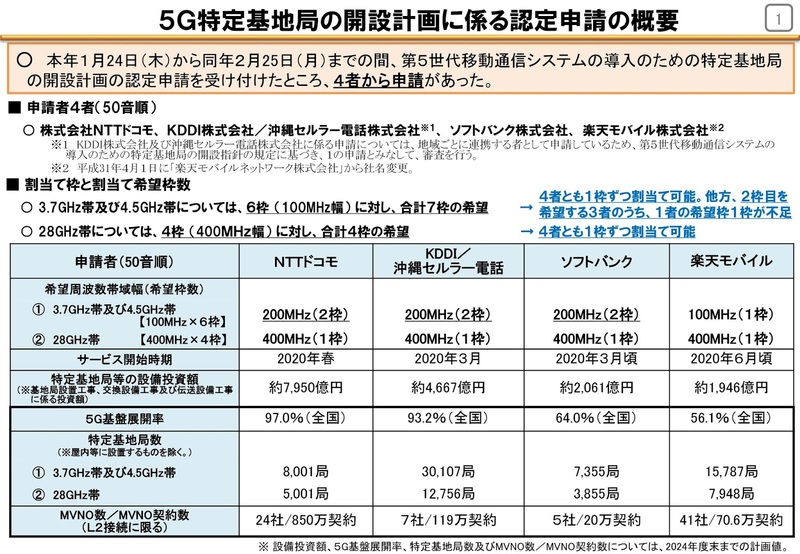 The Japanese Ministry of Internal Affairs and Communications (MIC) has announced the results of 5G spectrum allocation in Japan. The press release (in Japanese) is available here. An accompanying presentation (in Japanese too) is available here. 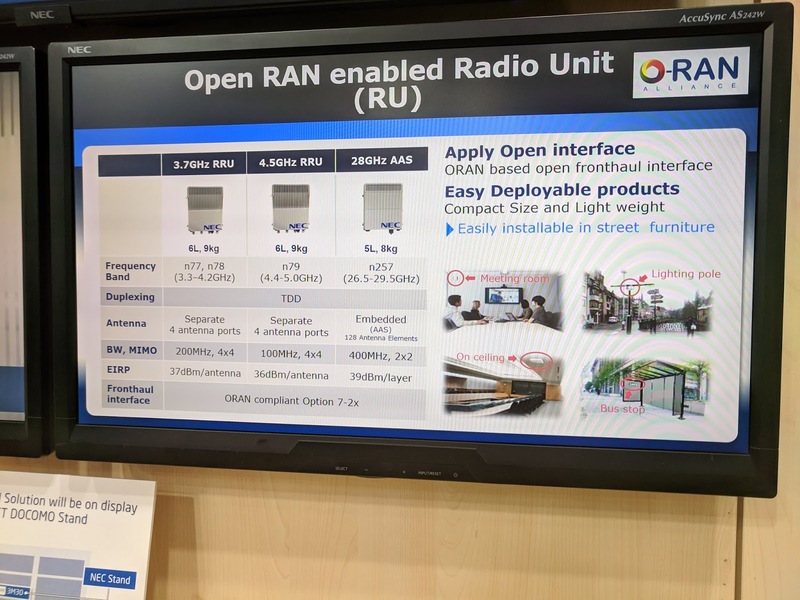 This is a big win for Rakuten, Japan's newest mobile operator and their CEO H. Mickey Mikitani was quick to announce this win on Twitter. It was also interesting to see NTT Docomo get the 4.5 GHz band. They are pioneers of this band and have worked with NEC, Nokia, Huawei, etc. on trials in this band. They have also conducted URLLC tests in 4.5 GHz band. An NEC press release back in January talked about providing 5G base stations to NTT Docomo supporting 4.5GHz and 28GHz bands. 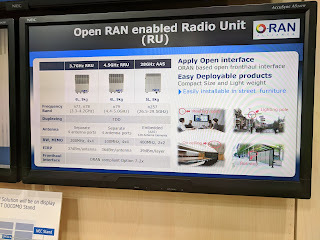 NEC was showing its Open RAN (O-RAN) enabled Radio Unit (RU) at MWC 2019 which are planned to be used with NTT Docomo 5G base staations. 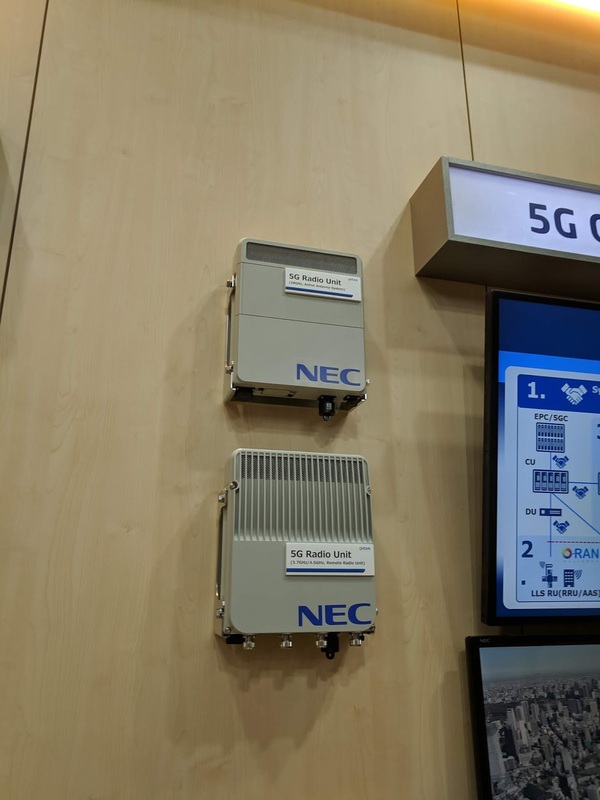 NTT Docomo 5G plans can be seen in their MWC 2019 5G presentation that was being shown on their booth and is also available online here. The condition effectively prevents the telecom providers from using network equipment from China’s Huawei Technologies and ZTE Corp, and follows a de facto ban implemented last year on Japanese government purchases from the manufacturers.